Christmas is so much fun. Especially at preschool! And this week was no exception. One of the things we have on our TO DO list every year is making a Christmas gift for the parents. 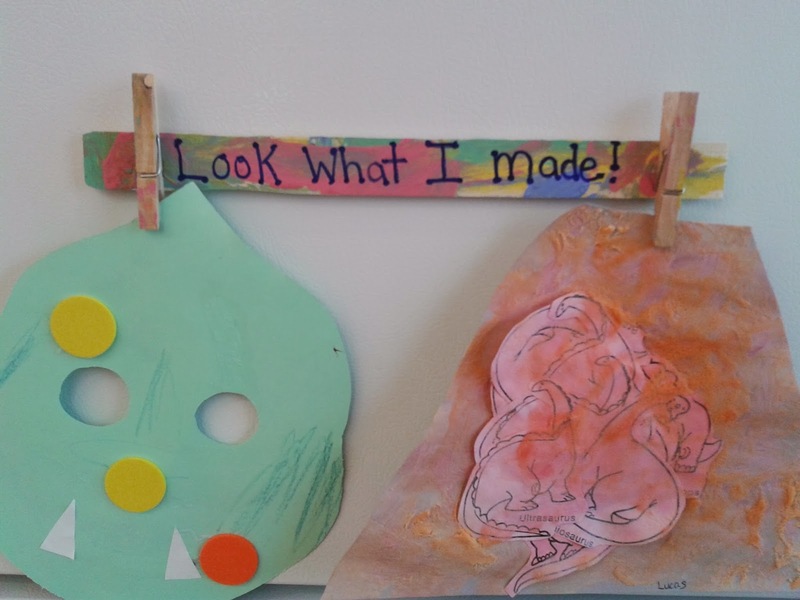 This year we decided to make a magnet bar to hold artwork onto the fridge. An inexpensive, yet practical gift! 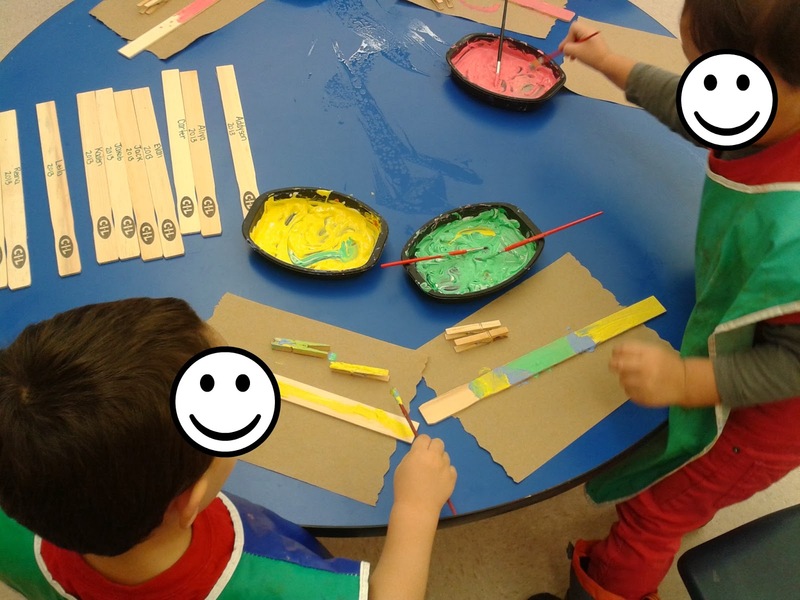 Here is a picture of the kids painting the blank side of their paint stick. We decided not to make this gift look too "Christmasy" with red paint or sparkles so that it could be kept on the fridge throughout the year. One of our other projects this week was making Christmas swags using some fir branches. 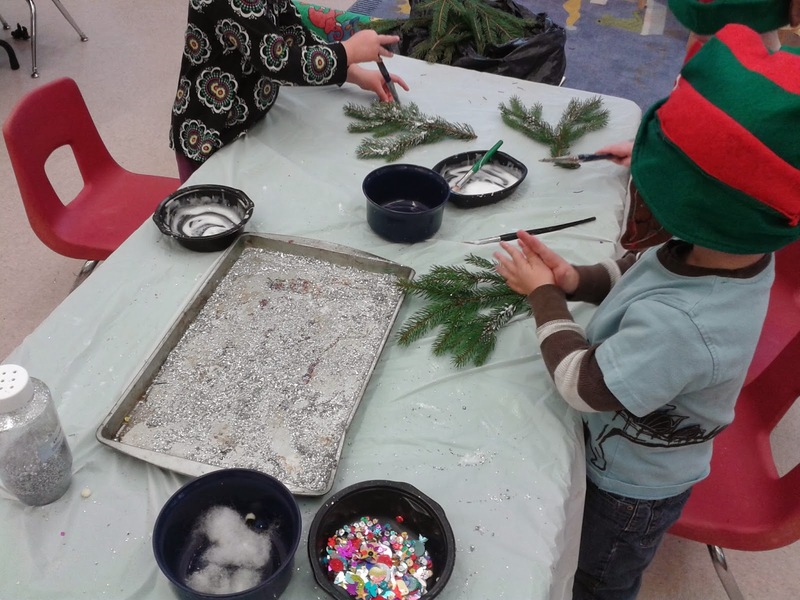 The children painted glue onto one side of the branch, then dipped it in a tray of sparkles and glitter. 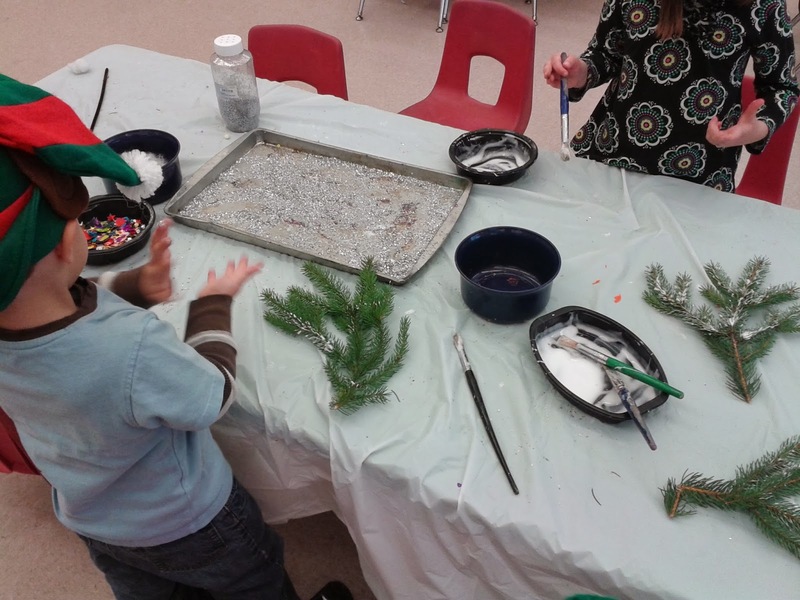 The best part of doing this project was the reaction of the children when they first lifted their branch out of the sparkle pan and flipped it over. So many oooohs and aaaahs! 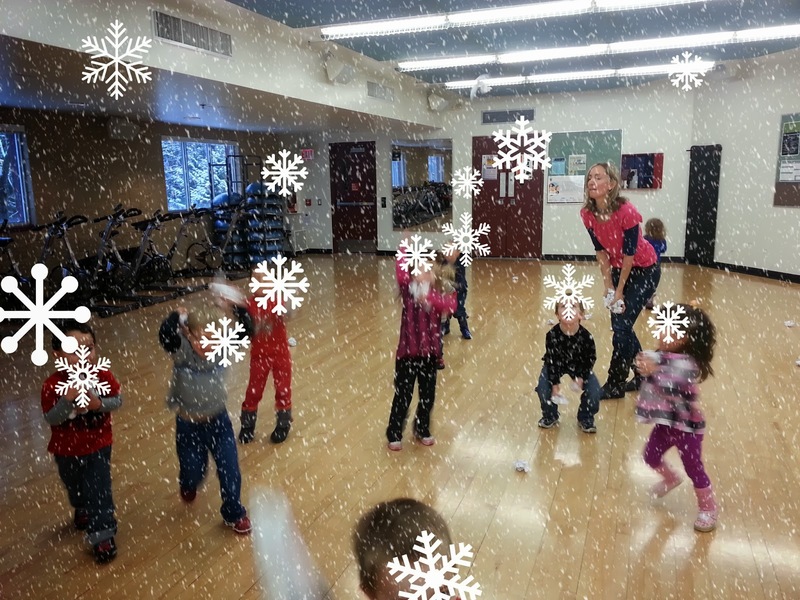 Some of the children also pressed on some cotton ball "snow" at the end. To hang the swag, we attached two pipe cleaners twisted together (to look like candy cane stripes) and attached it to the branch at the top. Another project this week was creating stockings to hang over our classroom "fireplace." We provided flyers with lots of images of different Christmas gifts that the children could cut out and glue onto their stocking. We encouraged the children to pick out items not only for themselves, but for each member of their family. A little "we" not "me" reminder! After gluing on the pieces, the children decorated their stocking with cotton and stickers. 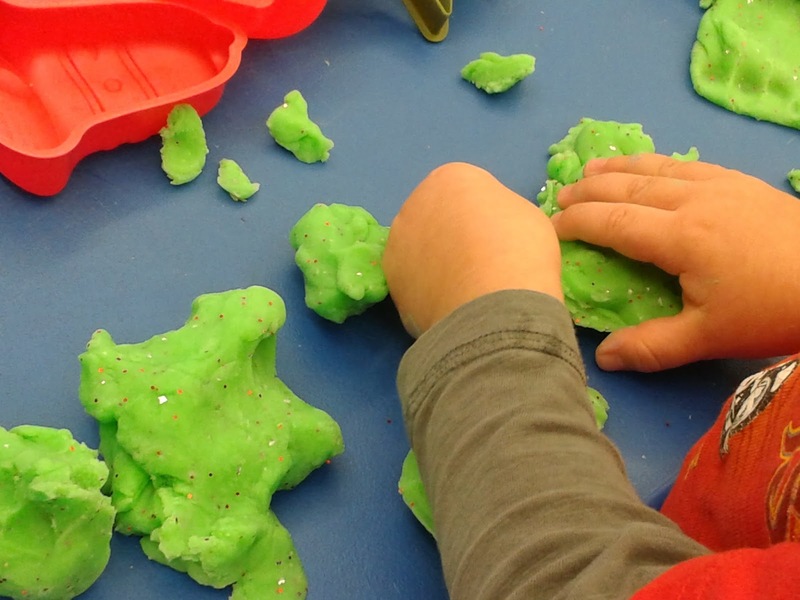 To spice up our playdough, we added some peppermint extract and some sparkles to the mix. 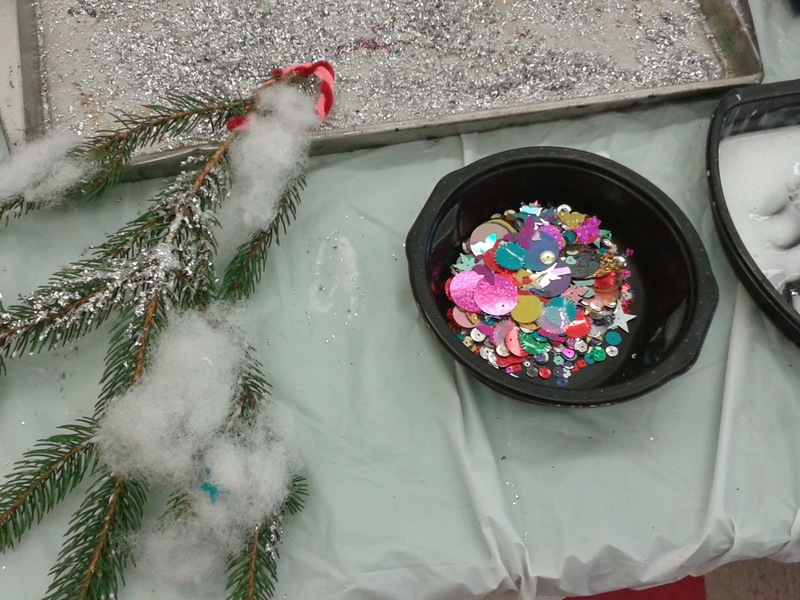 We thought it was important to bring the scent of Christmas into the classroom, too! And then it was time to play in the snow! As I mentioned at the start of the week, we had our first snowfall of the year on Monday. So, we decided to celebrate by having a big snowball fight. Indoors! Here we are battling it out. The children particularly enjoyed pelting the teachers! But I got a few good shots in myself! The snow falling from the ceiling unfortunately was not real. I just thought it would be fun to set the scene through a little creative editing! 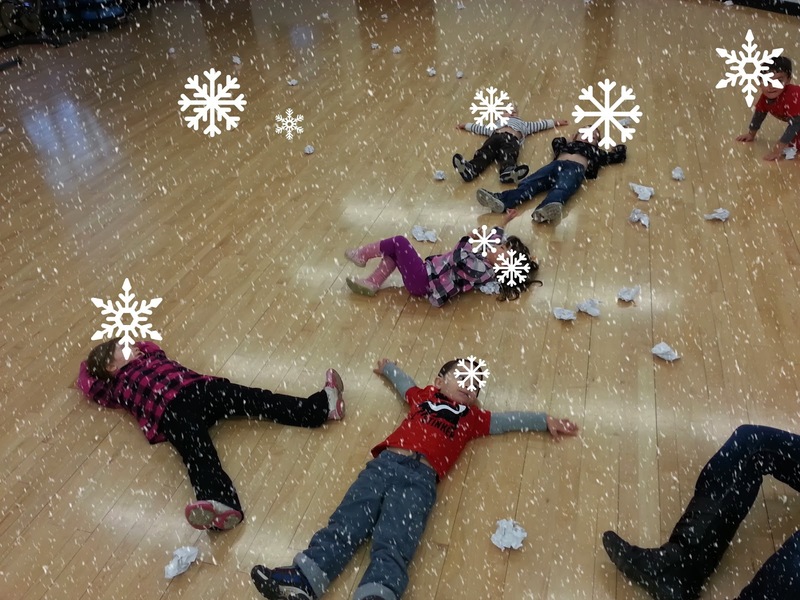 And last, playtime in the snow would not be complete without makin' some snow angels. Here are our little snow angels! And so caps another fun week at preschool...! Fa la la la la...la la la la! Need some Song Ideas for Your Mother's Day Performance? 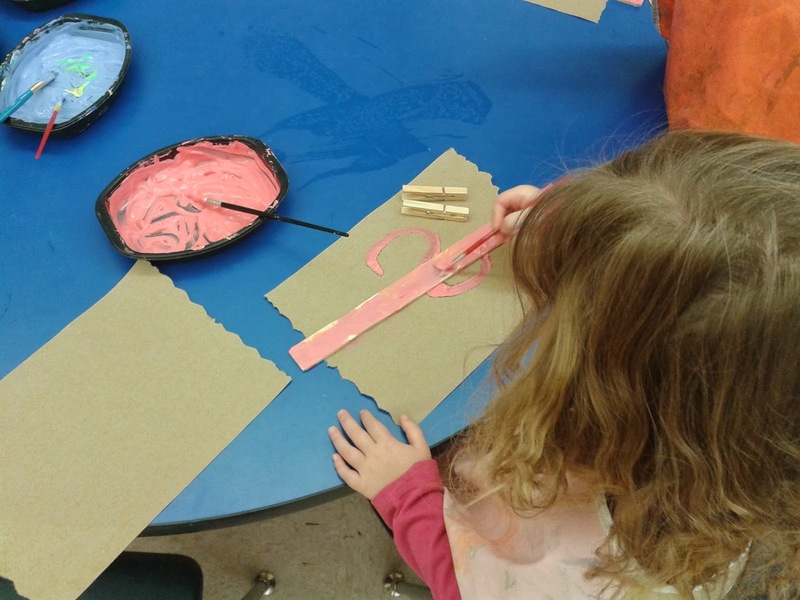 Check out these Songs and Crafts!